Philip R Buttall was an ABRSM Silver Medallist at Grade 8 Piano, before studying at Cambridge, Durham and Exeter Universities. He later won the Raymond Fennell Prize at the Royal College of Music, graduating with Distinction in Piano under Cyril Smith, Recorder with Freda Dinn and Composition with Bryan Kelly. After some twenty-five years, he retired from full-time school-teaching, and has given piano recitals in the United Kingdom and abroad, as well as appeared on radio and television. Philip is in great demand locally as a teacher, both classical and jazz piano, from beginner to diploma standard. Philip was also the Classical Music Writer and Critic for Plymouth Herald for over twenty years. He writes programme notes notes and magazine reviews, and is a regular CD reviewer at MusicWeb International. He has been an examiner and syllabus consultant for Trinity College, London, and now also reviews concerts for ArtsCulture and Seen and Heard International. 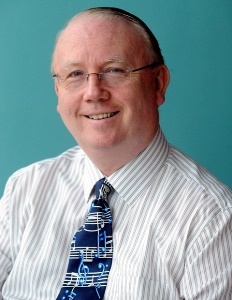 Having retired from full-time school-teaching, Philip now works in a private capacity with a limited number of students in Piano, from Initial Grade up to Diploma Level, and enters them for the examinations of the Associated Board of the Royal Schools of Music and Trinity College, London. As well as Classical Piano, students can also study for the Jazz Examinations of the ABRSM, and, in order to keep abreast of new ideas, Philip passed the ALCM Diploma in Jazz Performing, which wasn't of course, available when he was a student himself. All lessons are given are given on Philip's Steinway Model M Grand Piano in his Plymouth (UK) studio, situated adjacent to the house. The instrument is regularly tuned and maintained, and was completely overhauled a few years back, replacing all parts of the action, and changing over from the original ivory keys. Philip also holds the Diploma of Freelance Journalism of the British College of Journalists.